Turn on CMS via Web switch, enter the URL shown in the app in your browser, you will find content management system. 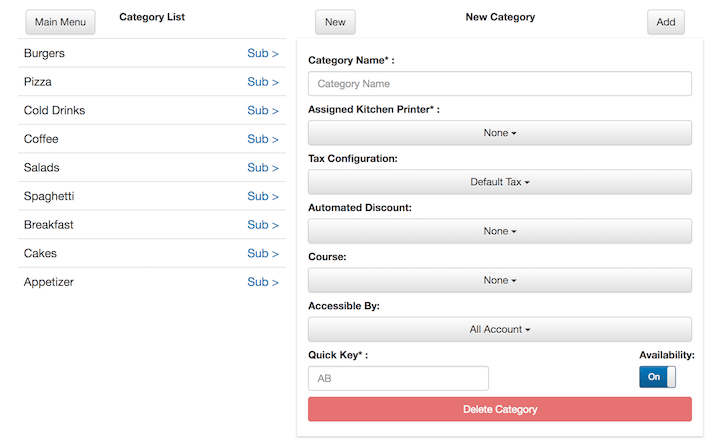 You can edit category, item, modifier group, modifier and combo meal using your PC/Mac. Use this if you are changing multiple items or modifier at one go. Instruction is in the page itself. You could easily change item barcode number, prices and other configuration easily. The easiest way to backup your entire system. It contains all your data entries, images and archive. 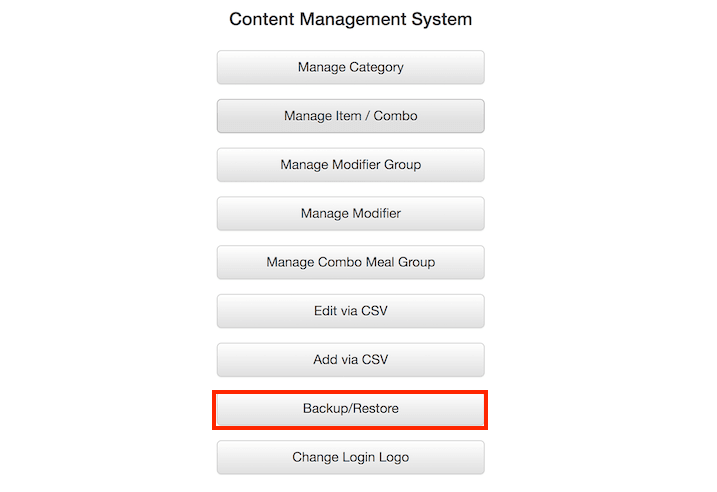 You could restore the system using the backup downloaded previously. If you are transferring to another iPad, you could download backup from iPad A, and restore it in iPad B. When you do a backup, you will be downloading a zip file. 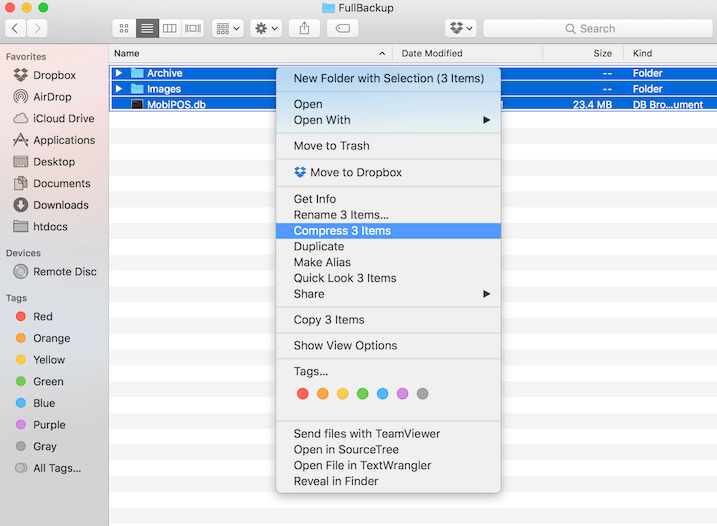 If you unzip the file, you will see folder FullBackup, in it you will find MobiPOS.db, Images & Archive folder. To restore, simply upload the zip file you downloaded previously. However upon download completion, you might not find the zip file. This might be due to the system unzipping it automatically. Please make sure to upload only a zip file, not folder or files. If system did unzip your backup automatically, you will need to zip them together before uploading it. Select all the items and zip them, please refer to screenshot below. Upon zipping it, you will find a zip file. This will be the zip file that you're going to upload. You could also restore selectively. You could zip only the MobiPOS.db or Images folder if you only wish to restore just one of them. The MobiPos logo shown in login page can be replaced with your own restaurant logo.